After a less than promising start to autumn, it finally arrived in style last week with nature offering a palette of the most resplendent autumnal hues. This, together with the warm, sunny days – which lasted all weekend too – made it perfect weather to enjoy the great outdoors. 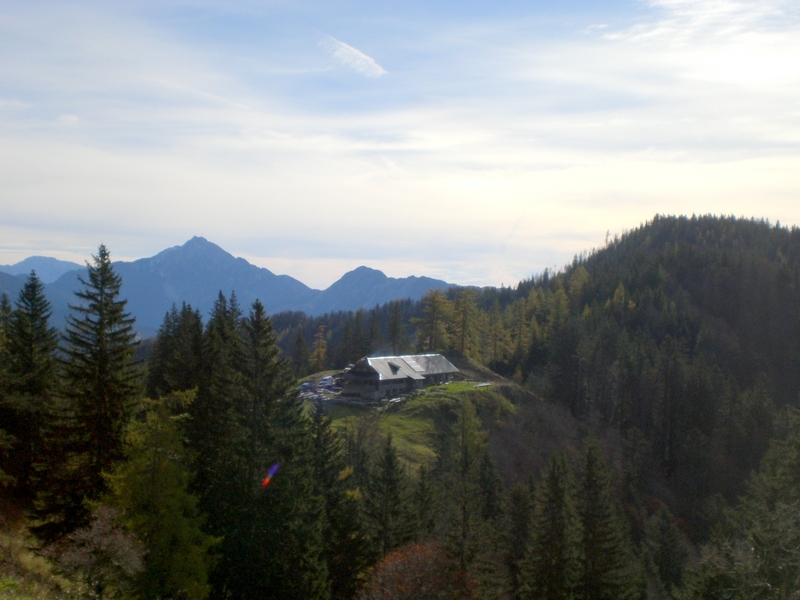 As the Karavanke mountains are right on my doorstep, that’s where I most often head to get my hiking fix! 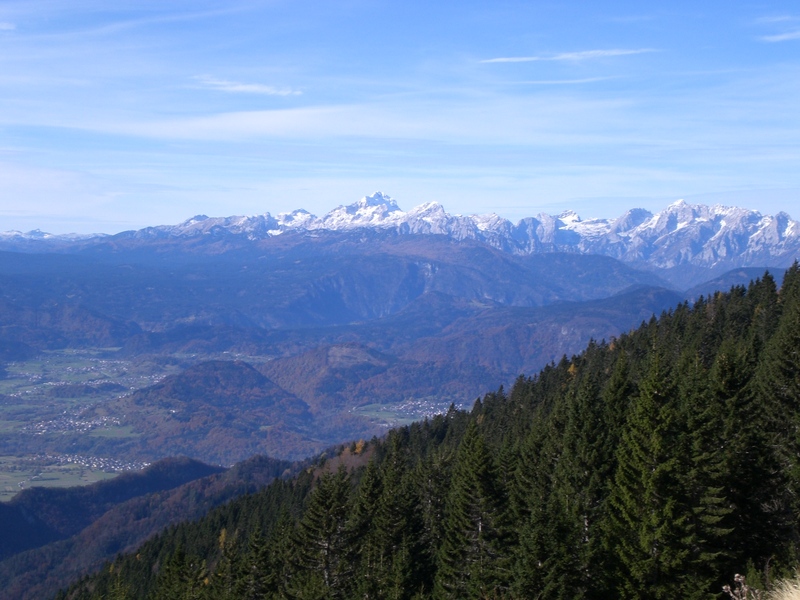 On Sunday morning I headed off on my bike from home in Radovljica to the Draga valley, then on foot – initially up to the Preval highland and the Preval mountain hut (Koča na Prevalu) – part of the Karavanke range. From the hut there are a number of paths; steeply (very!) up through the forest to the top of Mt. 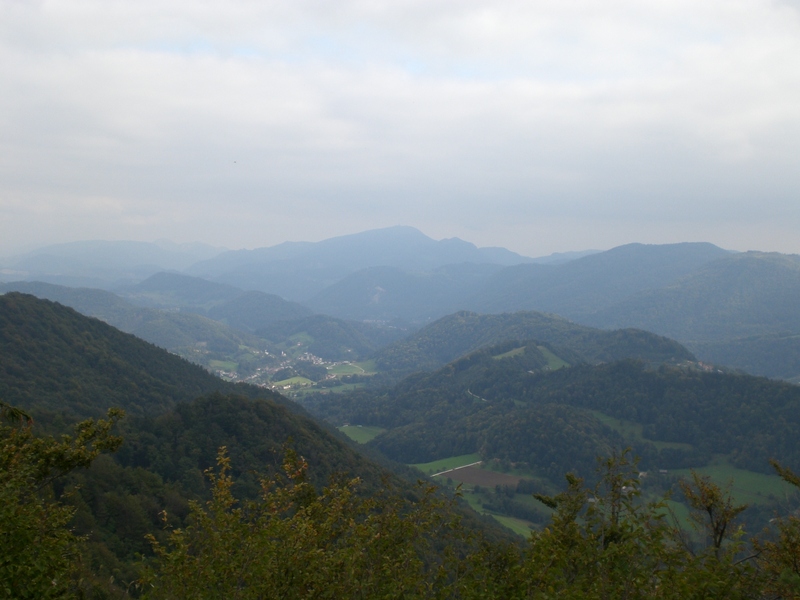 Begunščica; through the Baron’s Tunnels to Ljubelj, back down to the Draga valley – either through the forest or via the road – or across Roža (čez Roža) to the Roblek mountain hut (Roblekov dom). 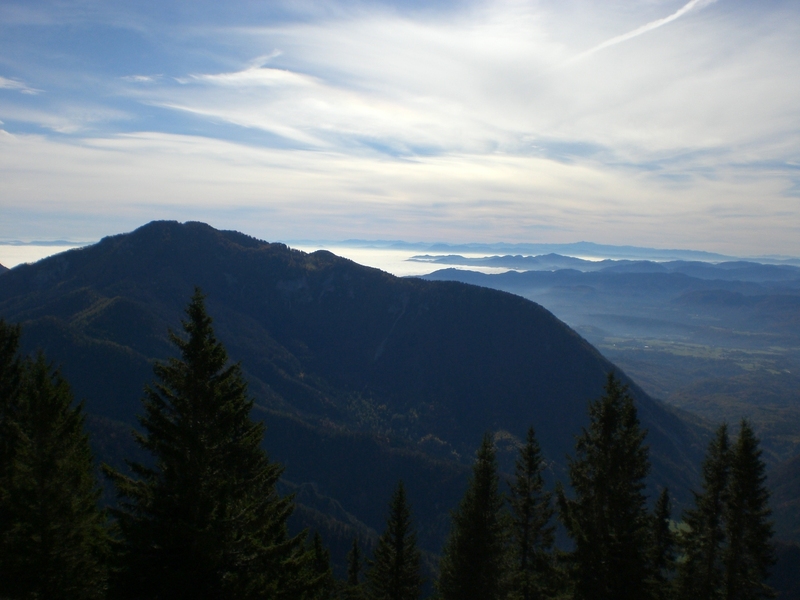 I chose the latter, as it is one of my favourite walks, particularly as it is circular and offers wonderful views across the Radovljica plains, the Jelovica plateau, and onwards towards the Julian Alps. As can be seen below, with such perfect weather and views across to the snow-capped Julian Alps, no photo-shopping is required! It’s always a particularly wonderful feeling being in the mountains and looking across at other parts of the country which are shrouded in low cloud, as was the case on Sunday morning! The opening event of this year’s month-long Taste Radol’ca is drawing nearer. Reservations are being taken for the opening event this Friday and participating restaurants have finalised their special Taste Radol’ca menus for the month of November – all available at just 15 euros for 3 courses and with the key focus on local ingredients. 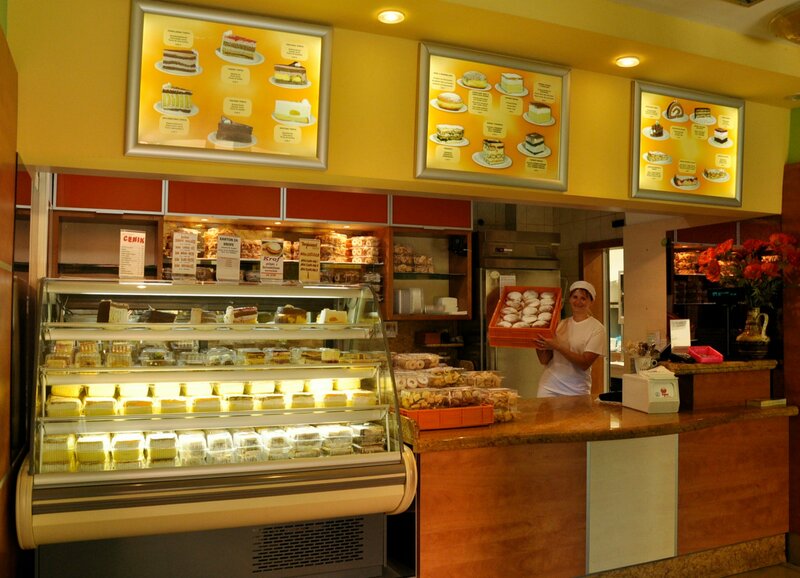 Nuts about Doughnuts in Trojane! Say the word ‘Trojane‘ to pretty much anyone in Slovenia, no matter where they live, and they are likely to know instantly what you are talking about – doughnuts! 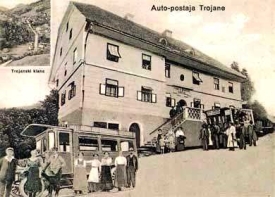 The reason being is that the village of Trojane has become a Slovene institution thanks to Gostilna Trojane, which comprises a restaurant, café, cake shop and gift shop and it is most famous for its Trojane doughnuts. Here’s a very potted history. Before the motorway was built, all traffic travelling from Ljubljana towards the northeast of Slovenia i.e. 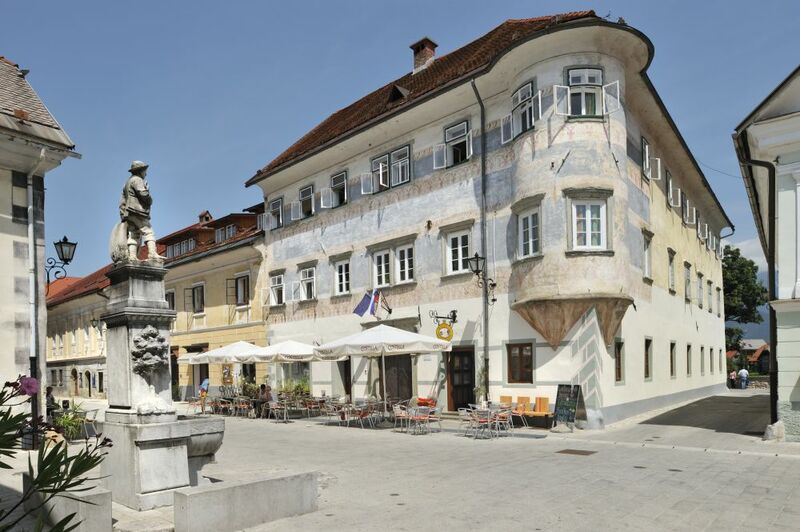 Celje, Maribor, Ptuj, and onwards towards Austria and Hungary, used to travel through the centre of Trojane and it also marks the halfway point on the trade route between Trieste and Vienna where, 150 years ago, the then tavern provided a stopover for weary travellers to rest, sleep and eat. Nowadays, the motorway skirts the village, which must have been a boon for residents, though at the time Gostilna Trojane had serious concerns about the effect it would have on their business. They certainly needn’t have, as in fact business even increased! 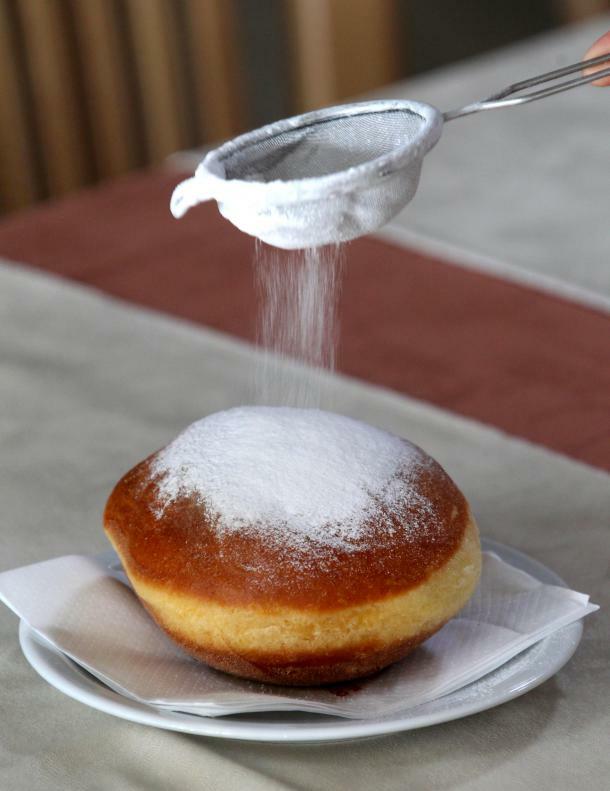 In the 1930s a younger generation took over the restaurants and later, having seen the rising popularity of doughnuts in Vienna, had the idea of making them in Slovenia. Thus, in 1960, Trojane doughnuts were created and the rest, as they say, is history! Initially the doughnuts were served, free of charge, just to chauffeurs, bus drivers etc. as a dessert after their meal. But word soon spread and before long people were flocking to try them. They are definitely at their best when still warm! The classic doughnut is filled with apricot jam, though other variations are available. These days, for most people its almost impossible, indeed unthinkable, to drive past Trojane without stopping for a doughnut, cake, or a hearty meal from the very extensive menu and although it’s not exactly on my doorstep, if I’m in that direction I also always make a beeline there – well with the world’s worse sweet tooth I would! On a recent visit I sat down with Urška Strnad, Head of Service, to find out more about the company and get some facts and figures, which left me even more impressed by this place. Despite its astonishing success, the privately run company certainly isn’t resting on its laurels. They have recently renovated a previous unused part of the building and can now cater for up to 850 guests in total, as well as having installed solar panels to add to their dedication to being environmentally-friendly. The majority of the 150+ staff live within a 15km radius, and car-sharing is encouraged. 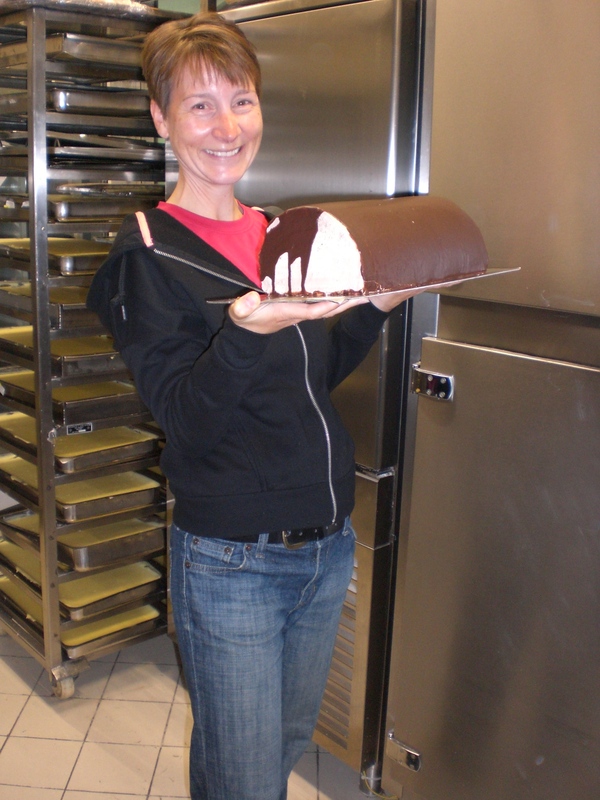 Additionally, everything is made on-site and only Slovene ingredients are used in all the bakery products. Trojane doughnuts are significantly larger than the average doughnut, each one weighing 180-200g. I was astonished to discover that every doughnut is actually made by-hand and when you consider that they make, on average, between 10-15,000 per day – yes, per day – that’s no mean feat! As you might expect, I’ve tried everything ‘sweet’ on offer and, in addition to the doughnuts, my personal favourites are the chestnut roulade and the gibanica – one piece of which is enough to feed a small army! I was even allowed to have a go at cutting and decorating a roulade, though, I think I’d better stick to eating them rather than icing them! 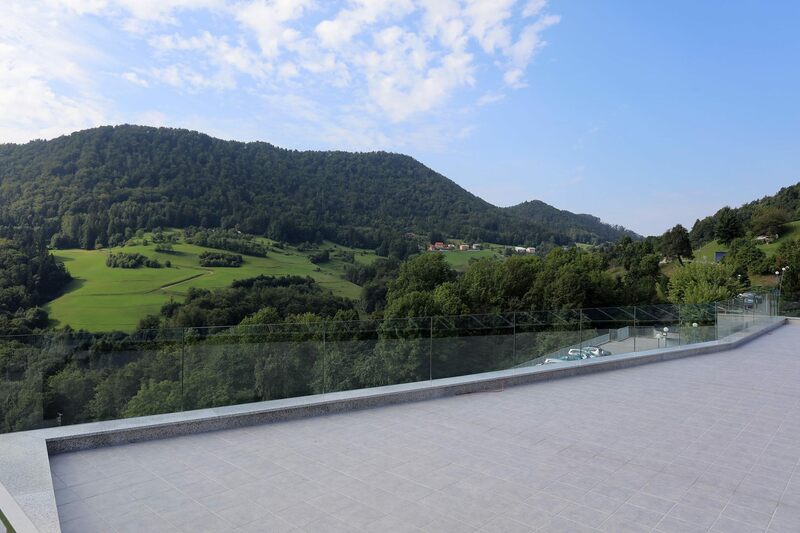 Trojane isn’t just about food though, just take a look at the views. 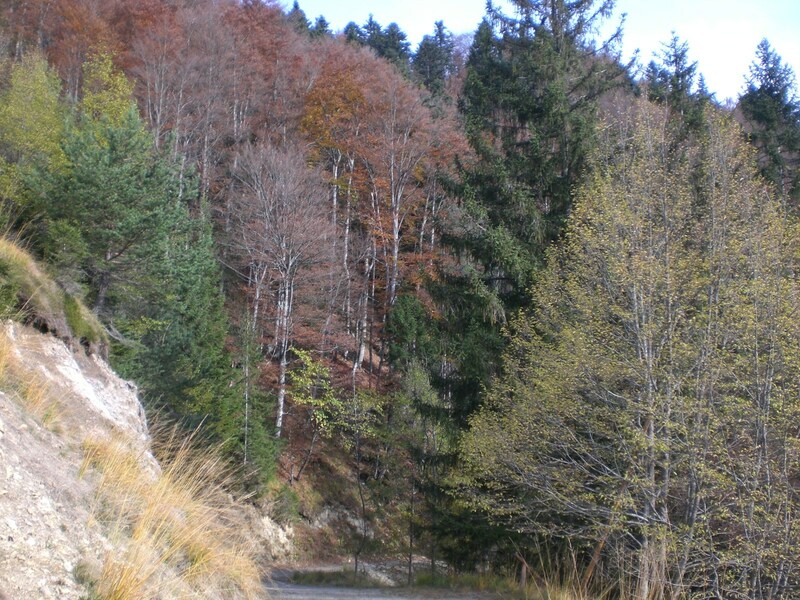 It’s also worth taking the time to explore the area surrounding the village and perhaps, as I did, work up an appetite for the inevitable indulgence to follow, by taking a walk on one of the surrounding hills or the forests of the picturesque Zasavje valley. 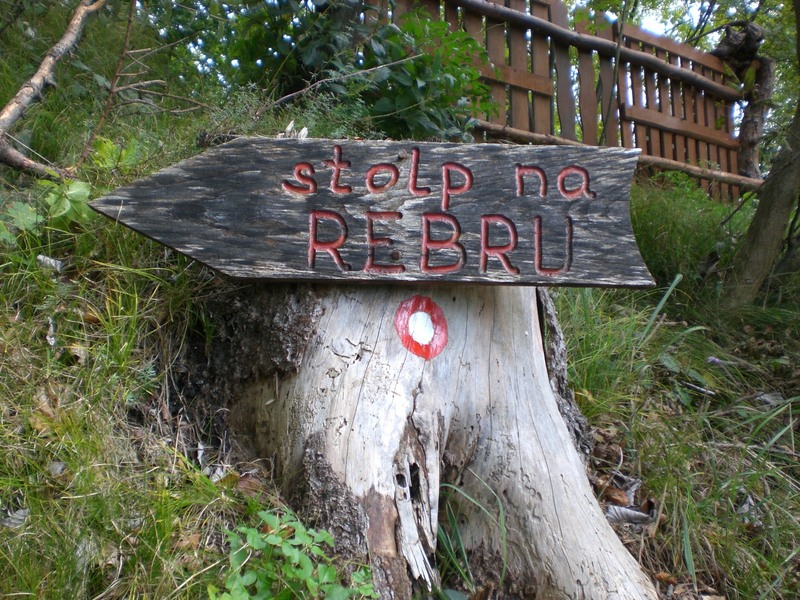 In the immediate vicinity of Gostilna Trojane, you can walk from Zavrh up to the viewing tower ‘Stolp na Rebri’ – also later written as ‘Stolp na Rebru’ – hmm, the wonders of the Slovene language! 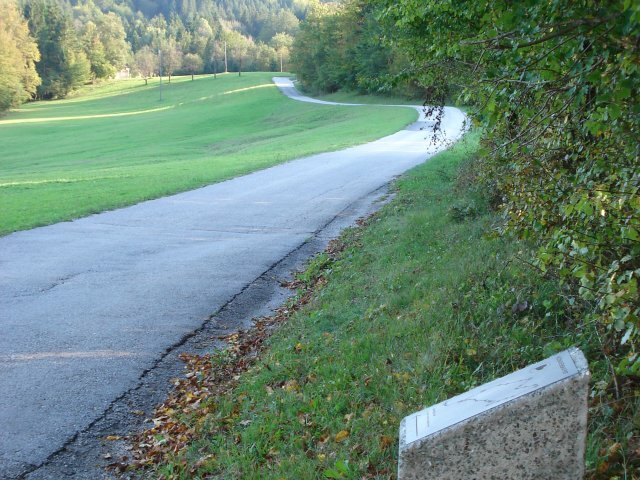 The path starts 200 metres or so from the restaurant complex at the sign for ‘Zavrh‘. You can park here or continue a little further up and park where the tarmac road ends and continue on foot up the gravel track. 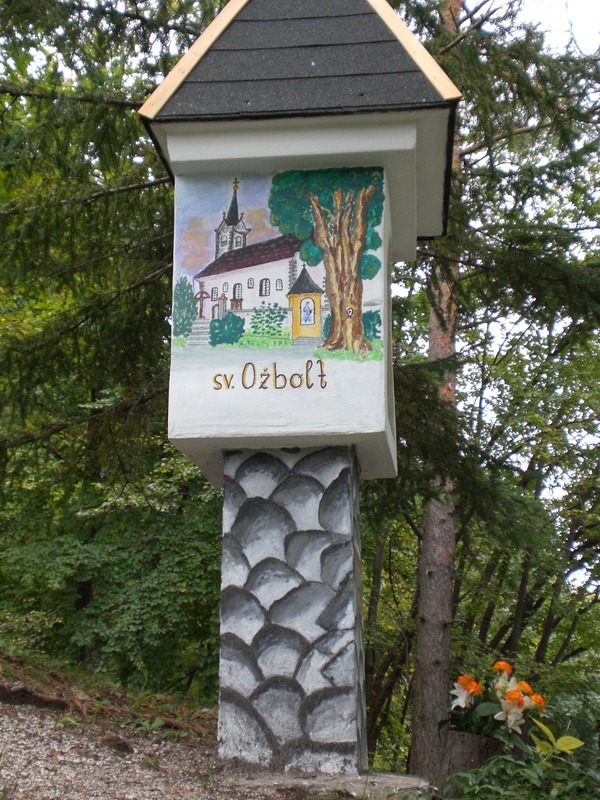 You first reach a shine to St. Ozbolt. 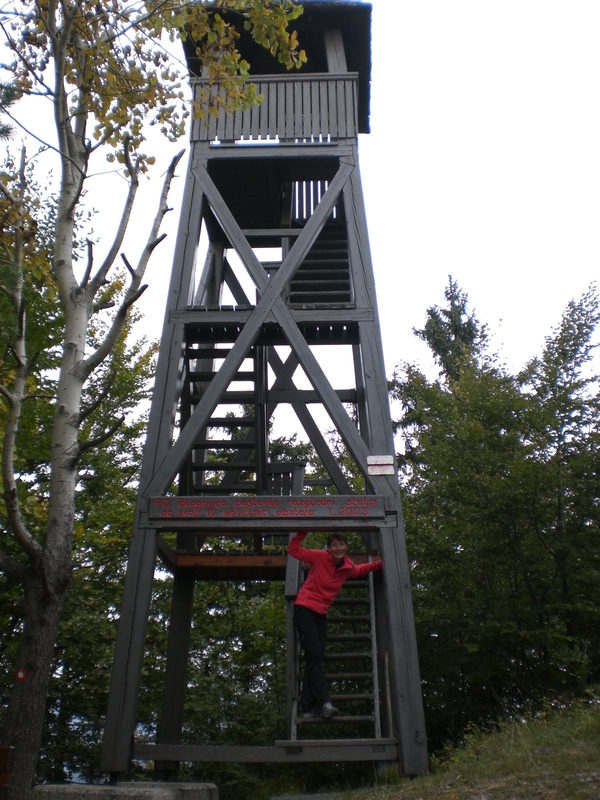 The path then leads a little more steeply up through the forest taking approximately 45 minutes to climb to 878m where a wooden viewing tower is located. It’s worth climbing up to the top for views like this and in the knowledge delicious food awaits down there in the valley! Other popular destinations for a walk in the area is to Spilk, or to the Čemšeniška planina highland and the mountain hut Koča na Čemšeniški planini. These two are also now on my list of places to go – well, any excuse to visit Trojane! Thank goodness that week is over. It was wet, wet, and, for good measure, a bit more wet! Even on Monday, which the forecasters said would be “sunny, so make the most of it as it will be the only dry day of the week”, it drizzled, and we were enshrouded in low cloud all day. Then the heavens opened and stayed open for 4 days – non stop. Rivers were swollen and, at least in my case, cabin-fever began to set in. Fortunately, the weather redeemed itself somewhat at the weekend and we finally saw the sky and a few hours of much needed sunshine, which allowed for a jaunt out. Since many places were waterlogged I decided to investigate and walk part of the Rosary Bead Path (Rožnovenska pot) which I had stumbled upon during the summer and vowed to return to investigate further. 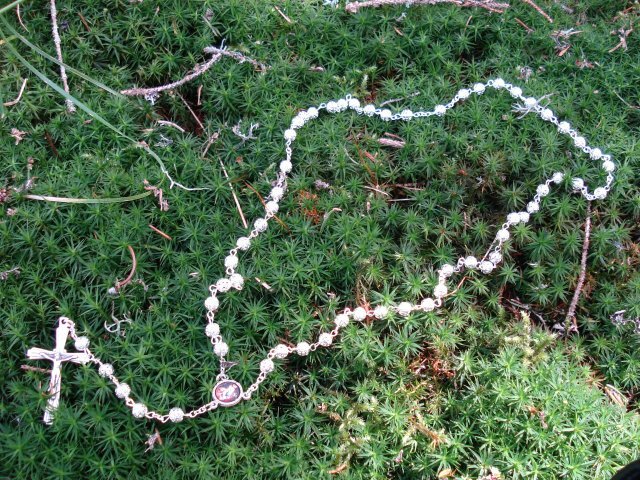 The path, which leads to some of the key religious edifices and sights in the municipalities of Radovljica and Tržič, is shaped like a rosary bead, as seen below, hence the name. Although the path has religious connections – there are pilgrimage walks here a couple of times a year – it also takes in some great countryside and sacral architecture, so even those not interested in the religious side will enjoy walking some, or all, of the path. 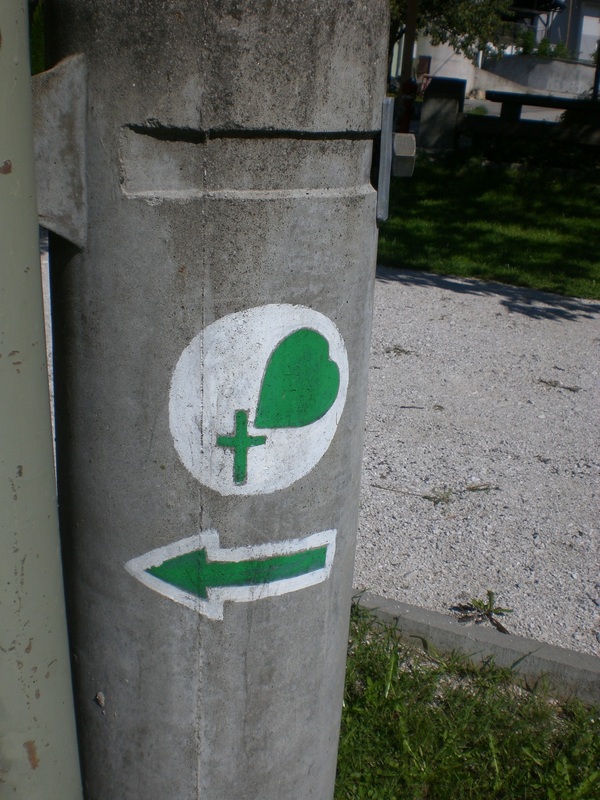 The path officially begins in Brezje, at Slovenia’s national sanctuary, the Basilica of Mary Help of Christians. However, since its circular, you could actually begin it anywhere along the 12.2km route. The path is split into five sections and marked with green way-markers as well as being equipped with information boards and newly installed stone markers showing additional information. The path links four churches – in Kovor, Brezje pri Tržiču, Leše and Brezje – and is very scenic throughout with views of the Karavanke mountains . The terrain is a mixture of fields, meadows, forest and short sections of (quiet) roads, There are also benches, toilets (I was more than astonished to see a new-looking wooden toilet block in the middle of the forest!) and two places where drinking water can be obtained. Those completing the whole route are also invited to sign in the walk record books which are found in the village of Hudo (number 12), and at the shrine in Brezje pri Tržiču. It was here, at number 42, that I met a very kind and friendly lady, who is one of those who maintains the path and who gave me a leaflet and told me more about the path, and is happy to offer advice or information to anyone passing en-route. 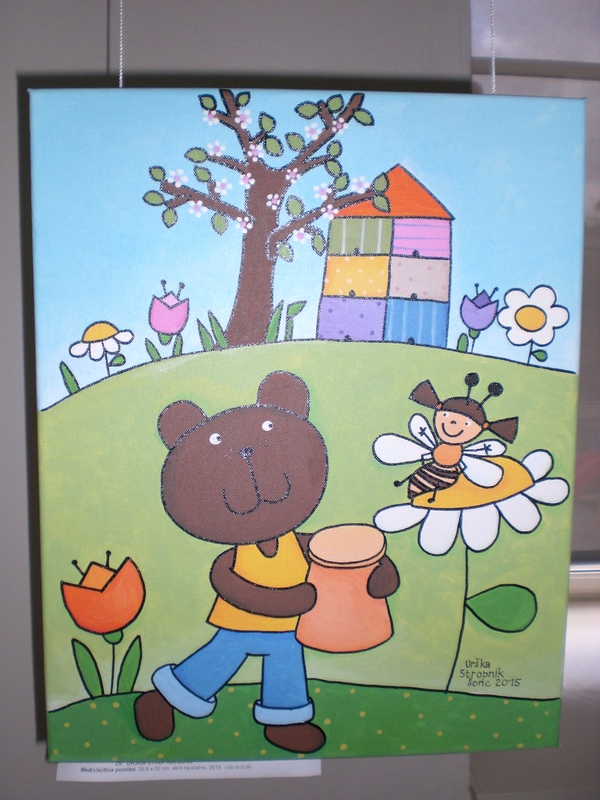 Bees in Art / Taste Radol’ca and Win, Win, Win! After such a wonderful hot summer, autumn is turning out to be a bit of a washout, or rather a ‘damp-out’, which is rather disappointing as this time of year, when the leaves on the trees are turning into their brilliant autumnal colours, is usually a perfect time for hiking in the mountains. Alas, there’s not much of that happening at the moment but I hope to be able to bring you some trip reports soon. Still, there’s plenty of other stuff going on to keep me busy! 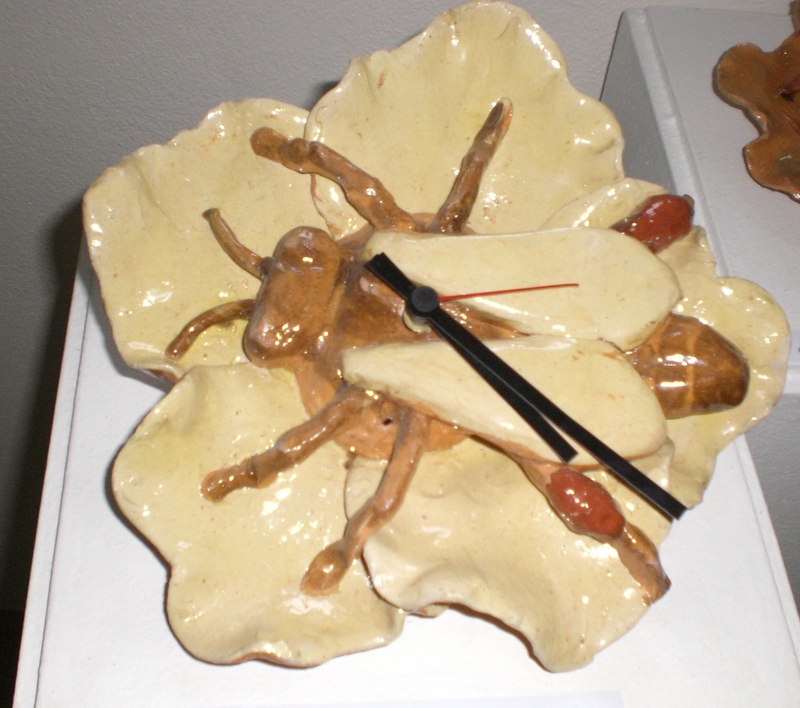 In support of the initiative by the Slovenian Beekeeping Association to have 20th May declared World Bee Day, last week Radovljica’s Museum of Apiculture opened a new exhibition entitled ‘Bees in Art’. I went along to the exhibition opening last Thursday, which was also attended, amongst others, by the Minister for Agriculture, in a show of support for the initiative. The exhibition, which is on display until 31st December, features 24 works of art created by Slovene artists, all of which are bee-related. 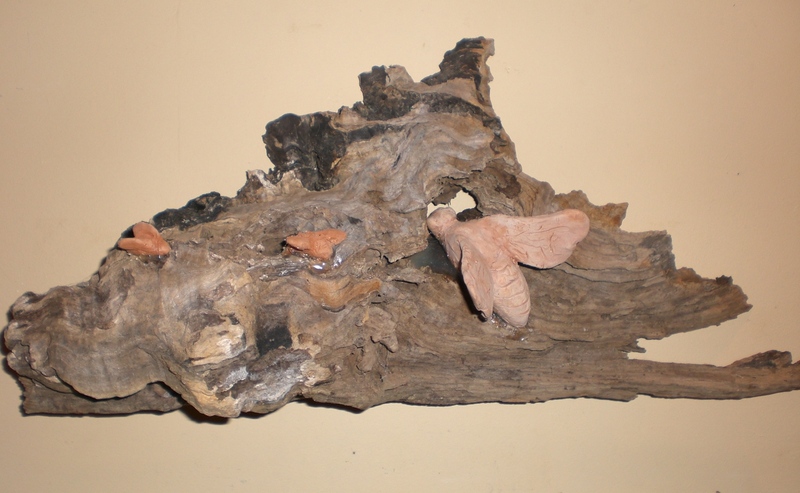 In addition to browsing the exhibition, if any of the pieces take your fancy, visitors are invited to purchase the piece, which can be taken home after the exhibition closes, and in doing so you contribute to supporting the initiative. Much progress has already been made with the government having endorsed the initiative and the United Nations currently considering it. Slovenia could really be considered a world leader when it comes to beekeeping and the Slovenian Beekeeping Association will not rest until World Bee Day becomes official and will contribute to further promoting the important role bees play in all our lives. The start of this year’s month-long Taste Radol’ca event is drawing ever nearer. 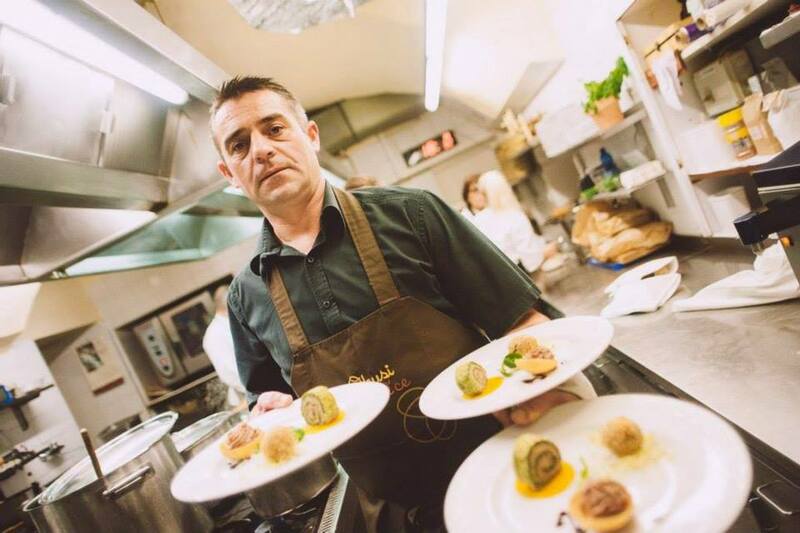 Now, two new prize competitions have just been announced which will make visiting Taste Radol’ca restaurants during the month of November even more tempting. All you have to do is visit 7 of the participating restaurants during the month and, in addition to eating lots of yummy food, you win yourself a ticket to the Closing Party at Jostov hram in Podnart. 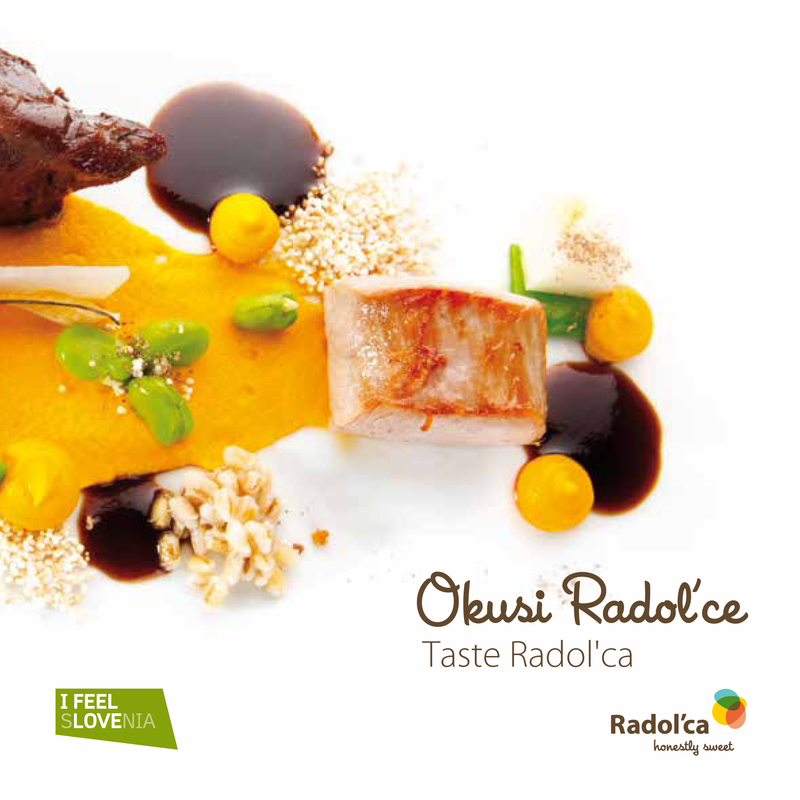 The second competition rewards those who submit the best photos of their Taste Radol’ca culinary experience. I feel a gluttonous month coming up! Prekmurje – The Land of Storks, Pumpkins, Floating Mills and more…. Having lived in Slovenia for over 8 years, and being a lover of hiking and all things Alpine, I had yet to visit the northeast of Slovenia. I’d long intended to get there but, in truth, I suppose I always assumed it would be a bit ‘flat and boring’. Well, I stand corrected. 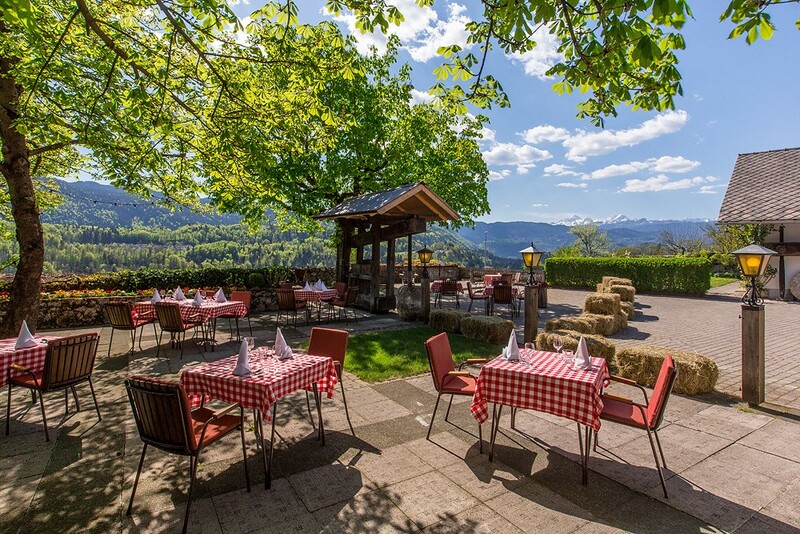 Yes, it is flat in places, but there are also rolling hills, vineyards, castles, lakes, numerous spas, delicious food, and more. So here’s a brief run down of my visit which will hopefully whet your appetites too! The Prekmurje region, part of Slovenia’s Pomurje, is named after the Mura river and is known, among other things, for its many storks which can be seen throughout the area nesting on chimneys tops and in large nests balanced precariously on telegraph poles. 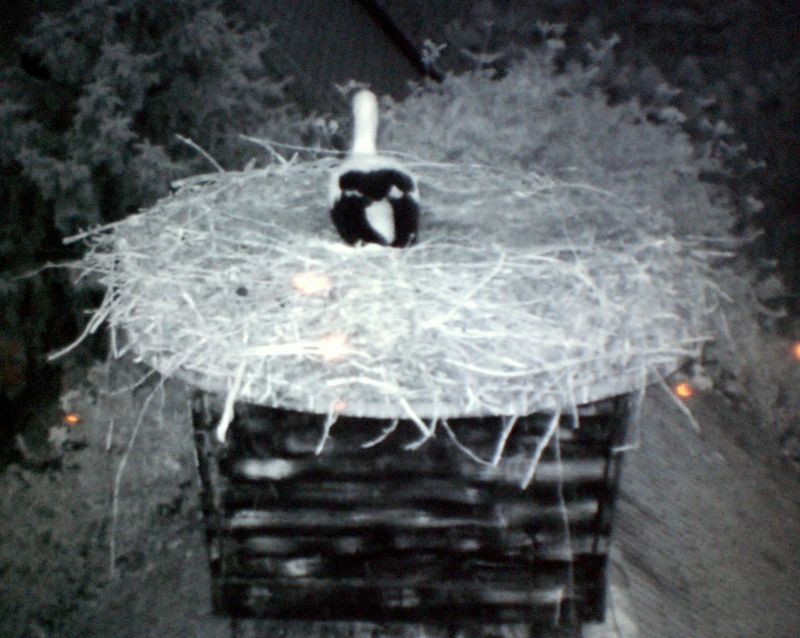 The hotel where I stayed even had its own stork family nesting on the roof and a live camera broadcasting on a screen in the restaurant so guests can sit and enjoy a meal whilst watching them! This stork was sat contentedly on its nest whilst I enjoyed my dinner! 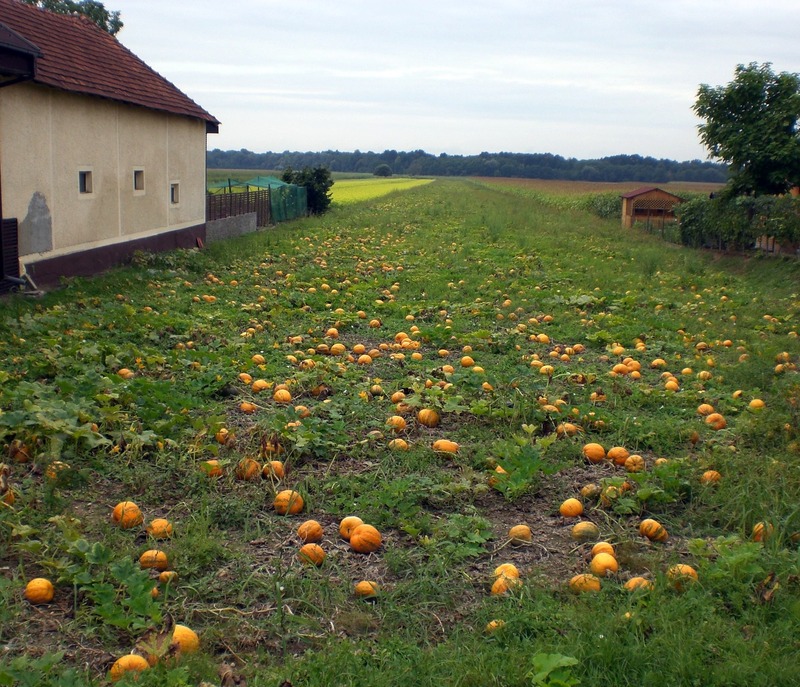 Prekmurje is also known for its pumpkins and, at the time of my visit, it was prime harvesting time. Thousands of pumpkins can be seen scattered across fields, though, they are mainly used for their seeds which are extracted to make the delicious pumpkin-seed oil which is another typical product in this area and makes an excellent salad dressing. I also tried ice-cream served with pumpkin-seed oil and, though it might sound an odd combination, it works! Nearby, in the village of Markišavci, I visited the family run Kodila Ham Producers which produces and sells all manner of delicious meats, as well as other local produce. The firm’s speciality are the dried hams which are first rubbed with salt, being left to air-dry for 18-45 days, then rinsed, smoked, rubbed (in this case with buckwheat flour and pig fat) and left for up to 6 months. The hams have been awarded the status of food of protected geographic origin and a part of the trademark ‘Scent of Prekmurje (Diši po Prekmurju) which brings together a number of indigenous foods, some of which, including Prekmurje ham and the layer-cake ‘gibanica‘ have now been given the status of protected foods. The Kodila hams. I can’t portray the smell but it was very tempting! Prekmurje gibanica cake – layers of pastry, apple, poppy seeds, curd cheese and walnuts – delicious! The Bukovnica lake (Bukovniško jezero) is a 4.5ha, 2-5m deep, man-made lake and is a popular fishing and picnic spot. There are plenty of places to walk nearby, and the area around the lake is home to the renowned energy points that are thought to have special energy that calms, relaxes, revitalises and have healing properties. There is also an adventure park in the forest which surrounds the lake, which offers all sorts of different adventures for all the family. The first use of floating mills on the Mura river dates back to the 4th century when flooding was a frequent problem in the area and thus the floating mills were designed to rise with the water levels. At their peak there were 94 mills operating on the river. Many of them were lost along the years due to fires and others mishaps, whilst the advances in technology, the arrival of electricity, and attacks from the German army, saw off the majority of the mills and today just two mills remain. 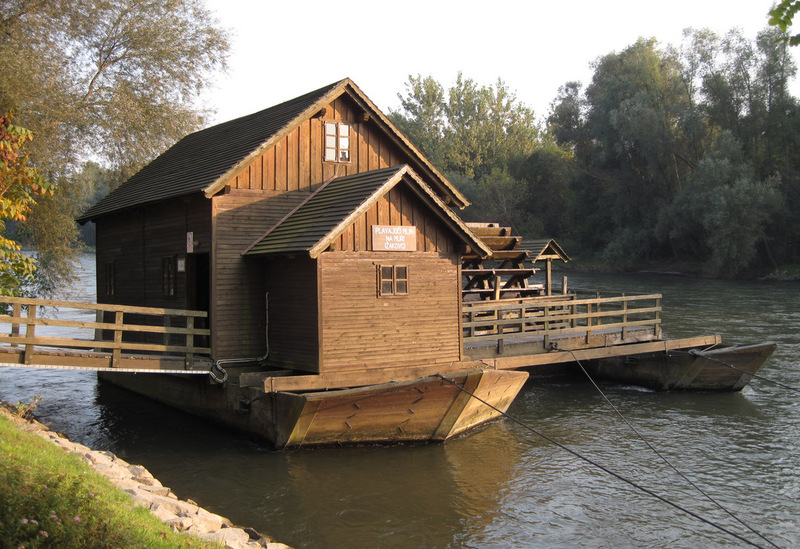 The larger one, seen below, is at Ižakovci, whilst there is another small mill near the village of Veržej. Both these mills are still active and visitors are able to see the process of flour-making and even buy flour to take home. 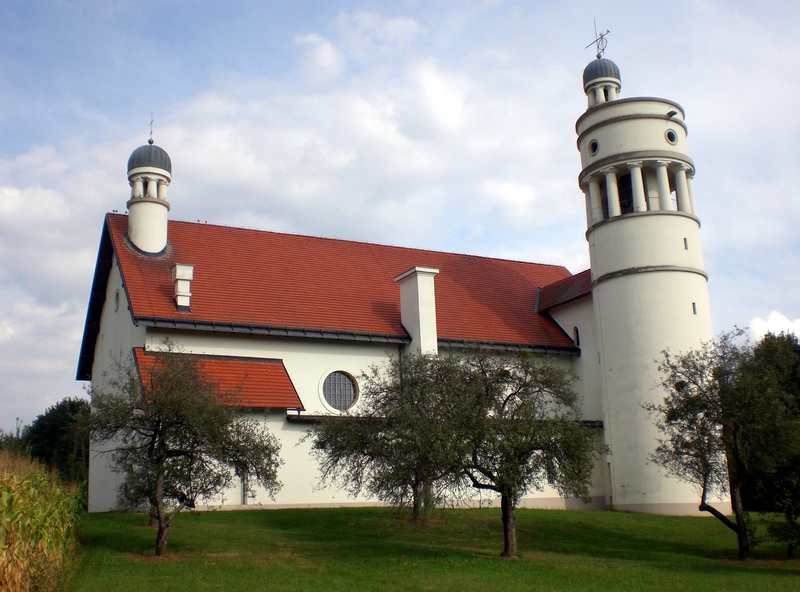 Prekmurje’s most famous and popular church, the Church of the Ascension is situated in Bogojina and was designed by the famous Slovene architect, Jože Plečnik (1872-1957), and built during the period 1924 – 1927. Plecnik’s architecture is well-known in Europe and particularly made its mark on Vienna, Prague and Ljubljana. Ljubljana’s Triple Bridge is among the most notable of his works. As you can see, there’s more than enough to keep you occupied for a few days, or even longer, in Prekmurje. The old town of Radovljica is home to Slovenia’s only preserved moat tunnel which runs under the entrance to the historic old town centre. 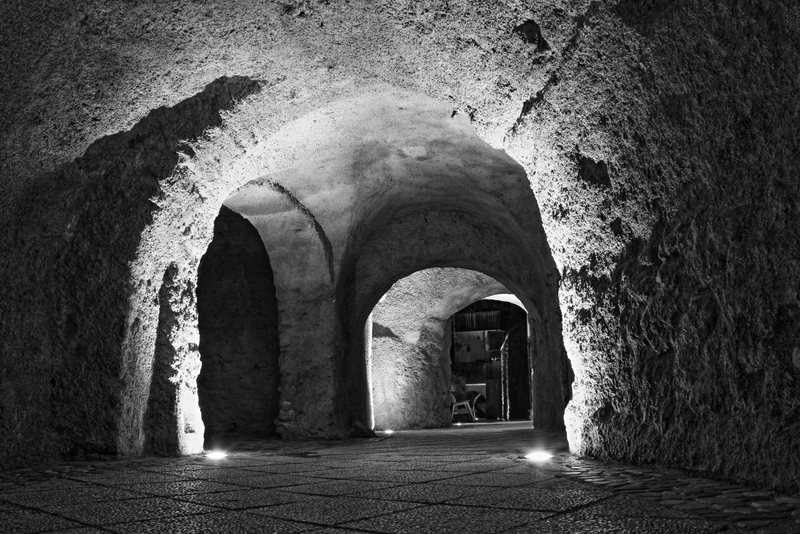 It was renovated, and partly built-over, some years back, and is well-illuminated, meaning you can walk through it at any time as part of a visit to the old town centre. I’m rather lucky as I live just minutes from the old town and can therefore walk through it every day – and I do! 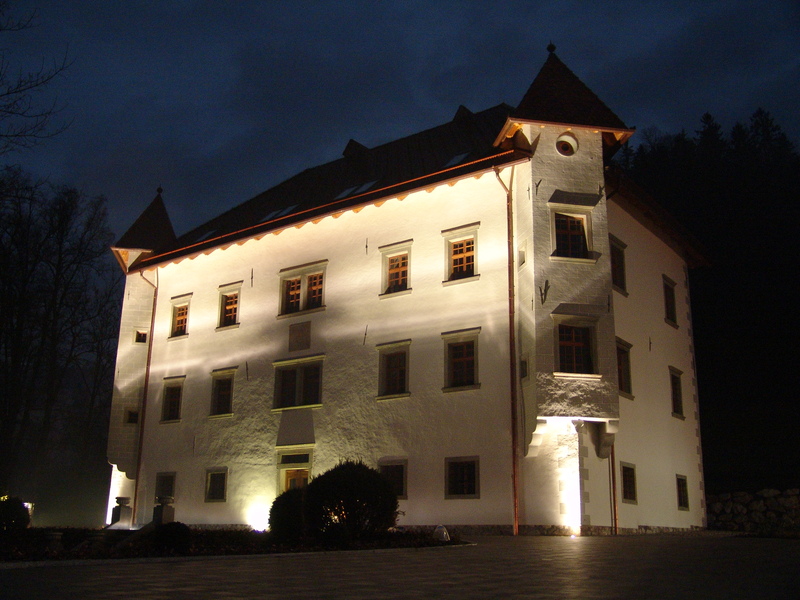 The history of the town dates back to the thirteenth century, whilst during the 15th-16th centuries, in addition to the moat, Radovljica had as many as 16 defence towers. The old town has many notable buildings, many of them with frescoes, such as Vidic House, seen below, which now houses a café and youth hostel. 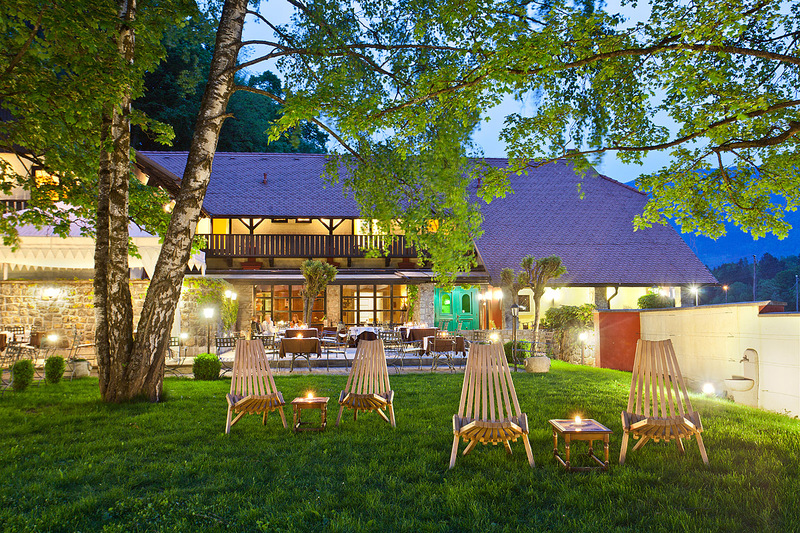 The bi-annual event Restaurant Week (Teden restavracij) sees some of the best restaurants throughout Slovenia offering special set menus for just 15 euros per person. It has become hugely popular with the limited places at many restaurants selling out very quickly, hence prior booking is essential. This autumn Restaurant Week will take place from 16-25th October and includes no less than three – yes 3 – of Radol’ca’s restaurants. Since it’s not easy to get accepted, due to the stringent conditions to be met, that’s proof positive of the great restaurants we have here in Radol’ca – all of which I, of course, have tried!